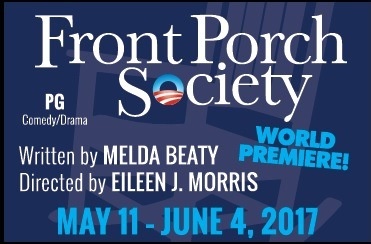 Front Porch Society - Ensemble Theatre of Houston - Printer Friendly Page - On the Run - Theatre Port Houston - Theatre Auditions News and more! But what does that mean to 4 elderly women in this rural town, especially Carrie Honey, the town’s “overseer,” as she grieves the anniversary of her son’s tragic death amidst the town’s excitement over Barack Obama. After years of failed attempts to seek justice, Carrie has grown bitter and no longer interested in life’s celebrations, until a scandal at the cemetery rocks this historic day, and a past secret is revealed that somehow restores her faded faith. The Ensemble Theatre’s 2016-2017 Season is sponsored in part by grants from the City of Houston through the Houston Arts Alliance, Texas Commission on the Arts, and the National Endowment for the Arts. United Airlines is the exclusive airline sponsor for The Ensemble Theatre.